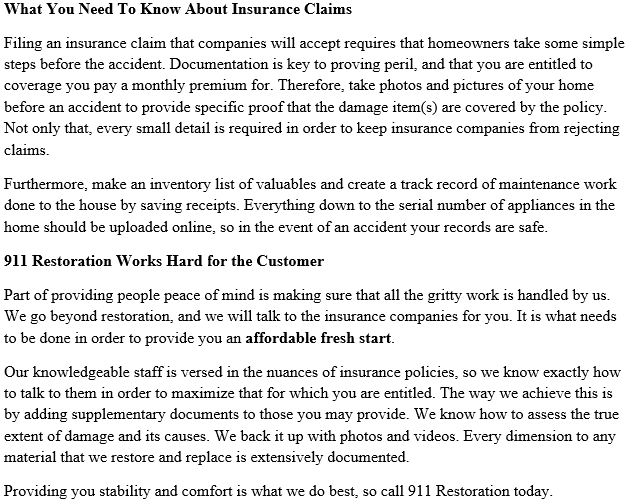 911 Restoration Bills Your Insurance! 911 Restoration Houston offers direct billing and a free insurance consultation. We care about you, so let us handle the rest.